Good morning! If you are new, you have just stepped into the middle of a pregnancy series, where every Monday I outline a new part of pregnancy. This week, I am looking at week 9. If you want to see the previous weeks, scroll down and take a peak. This week, you are even more tired. If this is your first, take advantage of all your free time and take lots of naps. You may think you have no free time. Trust me, you do. You will often look back fondly at “all that free time I had back then.” If this is not your first, you still need to take a nap. If you haven’t gotten it already, heartburn may start happening around now. I personally didn’t get heart burn until the third trimester, so basically you can get it at any time. If it happens, it is normal. My doctor said I can take Zantac. But he told me this too late, so basically I just dealt with it. Talk to your doctor, see what he says you are okay to take. Even though I was not showing at this point during my first pregnancy, and barely showing during my second, I started feeling lower back pain right around now. I found warm baths to be very helpful. At the very least they would relax me for a little while. Speaking for relaxing, at this point a lot of moms start to worry about their plans for baby. Will they continue working? Is that even an option? Who will take care of the baby when you go back to work? 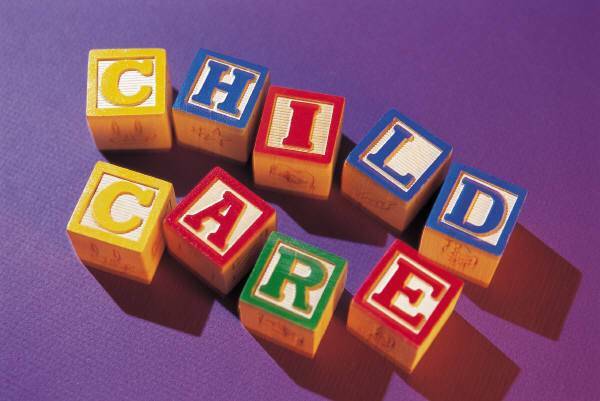 How do you pick the best day care? And one of the most stressful, what do you name the baby? And with that, I am going to wrap up this installment. See you next week! And in the meantime, feel free to look up previous weeks. Daycare is an expensive, necessary evil for the working mom. When you pay an arm and a leg to have someone watch your kids while you are at work, it only makes sense that you would want to get the most out of it for yourself and your children. Regardless of the type of schedule you may have, or the needs of your child(ren), there is a program out there for you. Having scoured every nook and cranny for a daycare for my daughter, and then doing it again for my son (we wanted to see if anything better popped up in the interim), I found there were some questions I wanted answered when looking for a daycare. My husband works in daycare insurance, adding to my body of knowledge, and helping guide me on my quest. I want to pass along some of this useful information. 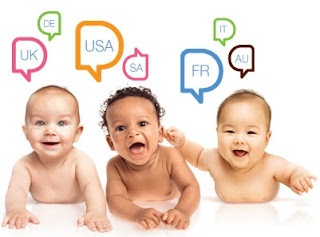 Here is a list of things to look for in a daycare program to help narrow down your search. 1. Where are they located? From my experience, I found having daycare close to my work is more beneficial than being near my house. Should an emergency arise while I am at the office, I can make it there faster. 2. Are you looking for an in-home day care, or a facility? In-homes tend to be more cost efficient, but some argue aren’t as safe. Facilities generally background check all of their employees, and only certain people are allowed on the premises. In-home day cares may have their staff checked out, but there is no mandate for anyone else coming by. These are people operating daycares out of their homes, so any guests they have over during the day are not subject to screenings of any kind. I have seen some very well run and professional in-home daycares, so I do not recommend ruling them out. Just do your homework. 3. What is their schedule? Do they open early enough for you to drop off your kid and make it to work? Do they close late enough for you to pick up after work? Do they have part time schedules available if that suits your needs? If so, what is their part time schedule? 4. Have you toured the facility? Would you feel comfortable leaving your child there? Toys strewn across the floor is no biggie; that is how kids keep themselves amused throughout the day. However, if dangerous items are left unattended and within little ones’ grasps, there is reason for concern. 5. How long have the staff members been working there? If there is a high turnover rate on staff members you should be wondering why. 6. Who provides the amenities? Do you bring your own diapers and wipes? Baby food? Milk? Formula? Anything else? Most daycares operate by having yor bring everything for your child, but I have also seen a couple that include baby food and milk into their pricing. 7. How do you bring these amenities? Do you bring in already prepared bottles and food, or do you bring in a giant container of formula or prepackaged foods and leave them there for them to distribute to your child as needed? 8. What is their policy on breast milk? If you are choosing to breastfeed, do they accept breast milk? I have never come across any facilities who object to this feeding choice, but it is still smart to ask ahead of time. 9. What is their policy on drop-ins? Are you welcome there at any time without an appointment or calling ahead? Personally, I would be suspicious of any places that restricted when I can come by to see my child. Why do I have to give you notice I will be coming by? Is there something I am not supposed to know about? However, do keep in mind scheduled nap times. Some daycares restrict visitation during these times, but you can still come to the facility without necessarily disturbing the children or going into the room where they are napping. 10. What are their rates? And what are you getting for these rates? If you are like me, and going back to work when your baby is barely 6 weeks old, chances are you are looking for someone to basically feed, change and play with your baby. You are not looking for a formal education (although I have heard good things about Montessori daycares as well, which is a whole different discussion). What else is important to you when looking for a daycare?